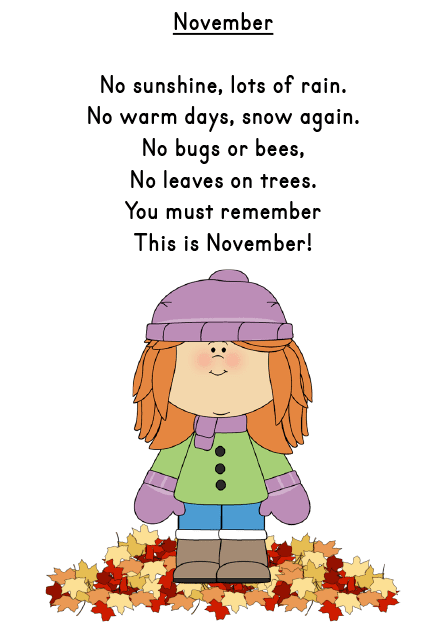 Hello Friends and Happy November! 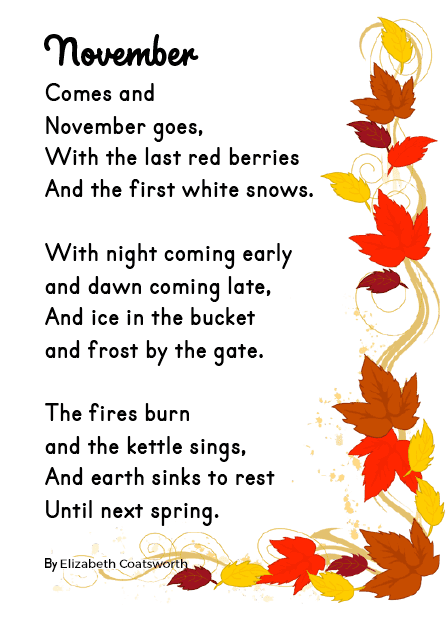 I have the sweetest November poems for you today. The first poem I actually posted four years ago! But last night I added two more lovely poems to the collection that I'd love to share with you. I love teaching this first poem to my firsties, mostly because it's always fun to see a couple of little bright lights get all excited when they recognize the "joke" in the poem. This next poem is just very simple and very sweet. It's perfect for K and Grade 1. I really like it and so do my kids! 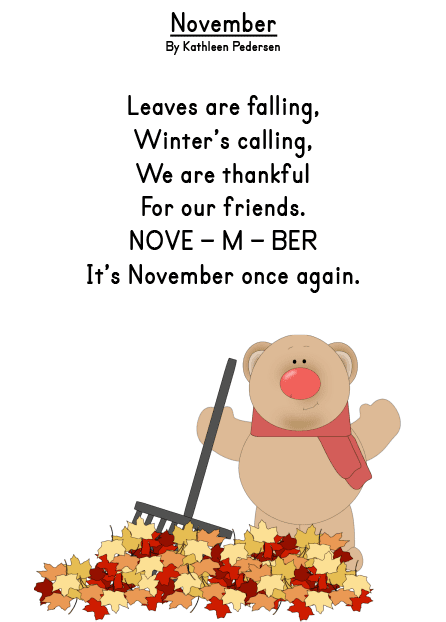 I love the last November poem. It's just so pretty. It's also a little more challenging but is probably fine for first grade, and definitely second. I've put together a pdf file of these three poems. There are three versions for each: colour, black and white, and no image (for those kids who like to draw their own pictures). 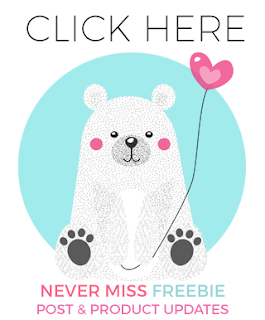 Thank you to My Cute Graphics for the clip art. 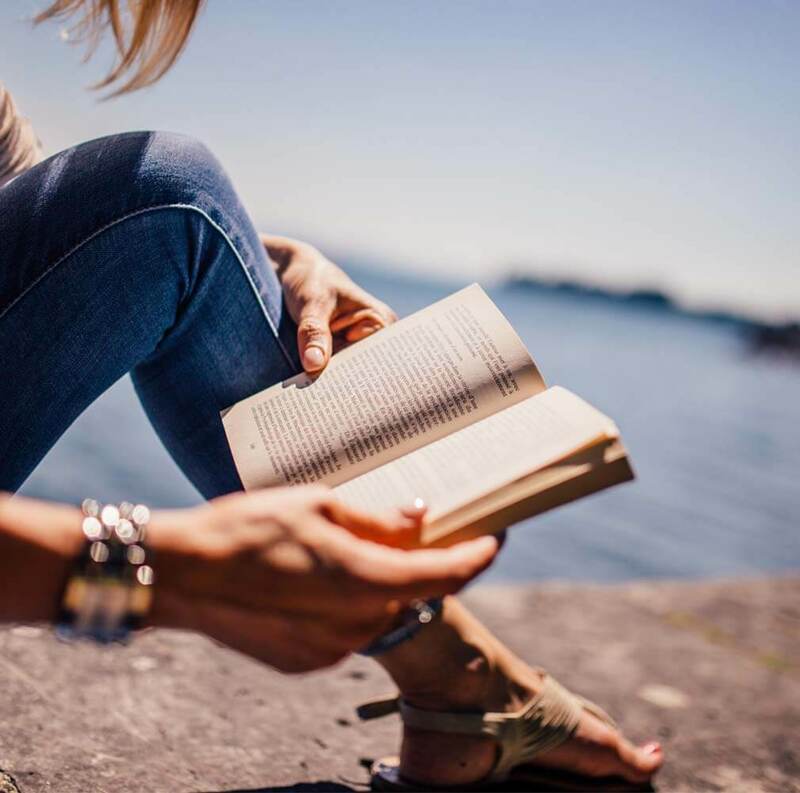 If you're looking for more poetry, just click here! And here's an amazing collection of fun poems for kids. It's full of silly and wonderful word plays! 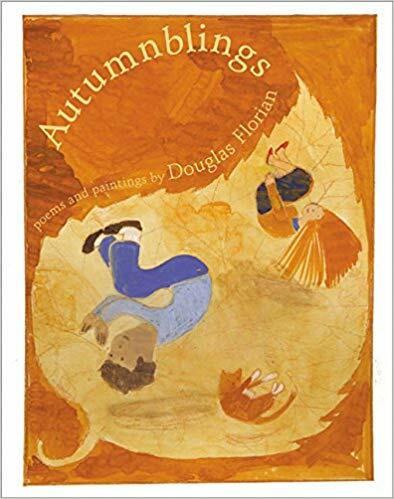 I think you'll love it: Autumnblings by the talented Douglas Florian. Love your poems - thanks for sharing!! I love poems and asking my kids what they notice each time we read them. 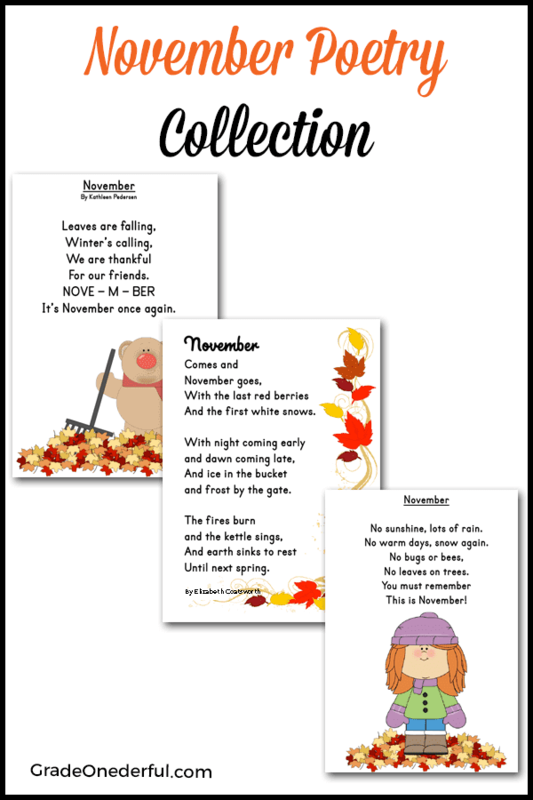 Poems are a great tool for developing reading skills! We have lots of activities we do with our poems, too. Thanks for stopping by, Tammy. We loved reading this poem over and over this week! It went into our poem folders to share at home over the weekend. Thanks for sharing it with us. We love reading poetry to improve our fluency and build our vocabulary!